The experience of the International Livestock Research Institute (ILRI) and partner scientists in 2015–2016 unmistakably identifies the potential benefits to smallholder farmers and consumers of research into livestock and human health. Smallholder farmers could potentially save hundreds of millions of US dollars annually, following breakthroughs in the development of vaccines for contagious bovine pleuropneumonia and Rift Valley fever, the latter posing a serious threat to human as well as animals. However, it was the participation in high-level fora and implementation strategies which are likely to deliver the rapid life changes for smallholder farmers on the ground. Develop, test, adapt and promote science-based practices that—being sustainable and scalable—achieve better lives through livestock. Provide compelling scientific evidence in ways that persuade decision-makers—from farms to boardrooms and parliaments—that smarter policies and bigger livestock investments can deliver significant socio-economic, health and environmental dividends to both poor nations and households. Increase capacity among ILRI’s key stakeholders and the institute itself so that they can make better use of livestock science and investments for better lives through livestock. Better inexpensive husbandry practices were shown to be effective in reducing the transmission of Taenia spp., a tapeworm infection causing cysticercosis in people. Such tailored strategies, along with increased frequency and enhanced quality of routine meat inspection to prevent the infection entering the food chain, are expected to reduce the impact on human health. Research also highlighted the role of multiple socio-economic, behavioural and environmental factors in Taenia spp. transmission patterns in western Kenya, e.g. education levels and access to clean drinking water. With the University of Liverpool, ILRI participated in a major impact report by the World Health Organization (WHO) providing the first global cost estimates of food-borne diseases. It ensured that understanding of issues affecting poor consumers of animal-source foods were considered as part of the findings. While further research is needed, particularly to fill data gaps at national and sub-national levels, the WHO is actively involved in capacity building through national food-borne disease burden studies, and encouraging the use of these findings in setting evidence informed policies. Developing One Health multi-disciplinary capacities is essential and ILRI provides both high-level support to research fellows (nearly 60 assisted from June 2015–2016) and downstream support to a range of field actors. 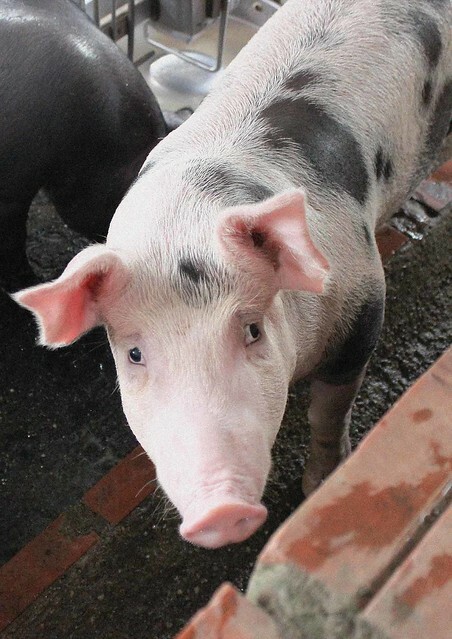 For instance, nearly 1500 farmers, butchers, meat inspectors and food vendors received training on food hygiene in five African countries, including on diagnosis and containment of African swine fever in Uganda where follow up indicated participants had taken measures to prevent further outbreaks.